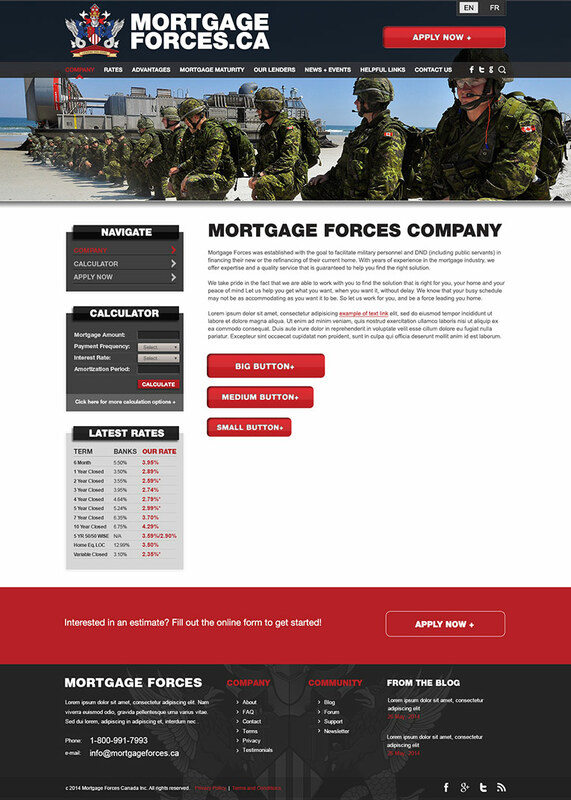 Website design and development for Mortgage Forces. 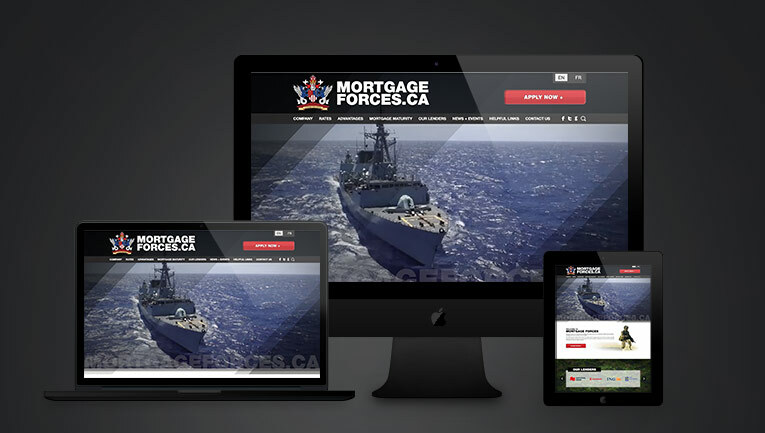 The website we’ve created for Mortgage Forces features large, fullscreen video, custom payment calculators and a rates tools. The website is fully responsive and reformats on smartphones and tablets. The creative was designed to target military personnel with strong visuals and interactive components. Client: Mortgage Forces Canada, Inc.